Getting behind on your exercise routine? instead of driving why not ride your bike to some delightful dining experiences? These are enCYCLEpedia’s favorite combinations of easy scenic bicycle rides and enjoyable al fresco eats in Orange County, California. 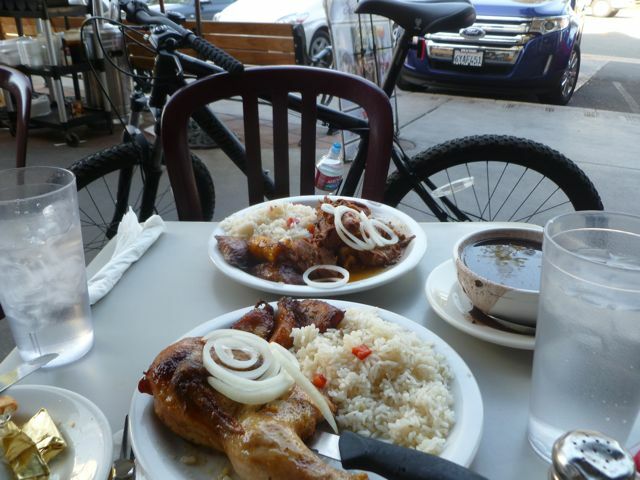 Bike routes to these dining destinations are described in the book “enCYCLEpedia Southern California – The Best Easy Scenic Bike Rides” by Richard Fox. Laguna Beach has perhaps the most scenic dining patios, but riding there is mostly on busy streets with no bike trails or even bike lanes, so it didn’t make the cut. If you select an upscale establishment consider bringing or wearing a more appropriate frock. Personally I carry a light Hawaiian shirt to wear over my tee! Feel free to comment with your own favorite Bike ‘n Dines. More info: Book’s website (Orange County is Chapter 5, the book’s largest); Book’s Facebook page. A wide variety of easy scenic bike routes combine with an equally extensive choice of dining options to make this area OC’s premier Bike ‘n Brunch destination. 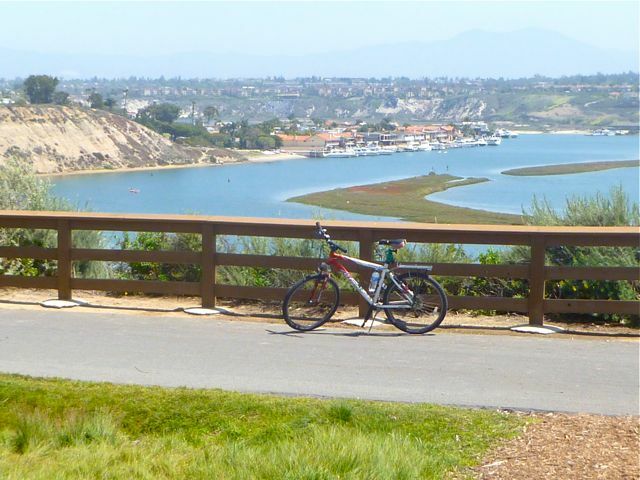 Cycle the fabulous loop around the ecologically vital Back Bay area, stopping at Back Bay Bistro at Newport Dunes Resort for a tasty al fresco lunch or a brunch splurge. Pedal along a paved path next to Newport’s wide sandy ocean beaches (best on uncrowded beach days), and choose from several patio restaurants en route, most centered around the Newport and Balboa Piers. Or, try Newport Landing overlooking the ferry stop to Balboa Island. On the island savor several patio restaurants along Marine Avenue including popular Wilma’s Patio. Upscale Bayside at 900 Bayside Dr is between The Back Bay and Balboa Island. A bit off the beaten bike path near Lido Peninsula are the waterfront patio delights Woody’s Wharf, The Cannery, The Dock, and Bluewater Grill. 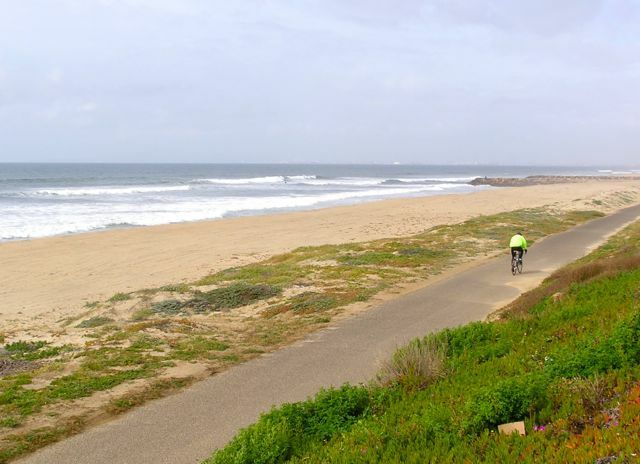 The 8-mile Surf City beach trail is the premier scenic bike trail in Orange County. Your dining reward comes around the pier area, where you can grab a burger at a beach stand, or try the bustling beach patio at Sandy’s (below Duke’s). 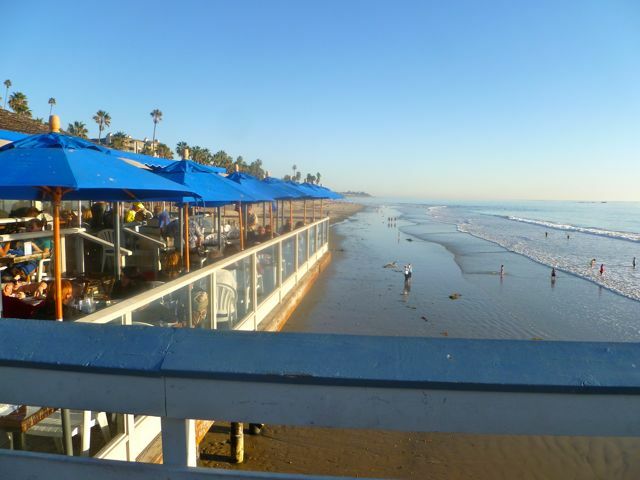 Climb up to Coast Highway (PCH) and Main Street for it’s many casual al fresco patio restaurants including Sushi on Fire, dog-friendly Zimzala at the Shorebreak Hotel, Sancho’s Tacos, Sugar Shack Café, Spark’s Woodfire Grill, and others. The Hilton and Hyatt resort hotels just south of downtown offer some great view patio dining. At the north end of the beach trail, Secret Spot in a strip mall across PCH from the Jack-in-the-Box offers breakfast items. Pedal around Dana Point Harbor, perhaps stopping at the waterfront patios of Wind ‘n Sea or Harpoon Henry’s. Ride along Doheny State Beach, where the inviting seasonal Boneyard Cafe awaits on the main beach (header photo). Take a jaunt up the San Juan Creek Trail to historic San Juan Capistrano, which can be reached by Amtrak or Metrolink. In San Juan, Trevor’s at the train depot has a fabulous dining patio. Ramos House Café in the Los Rios District across the tracks is pricey but delicious, and the more casual Hummingbird House offers Greek fare. Mollie’s Famous Café en route (east at Del Obispo) is a popular breakfast/lunch spot. Cycle to Crystal Cove State Park via the side streets of Corona del Mar and a short trip in the PCH bike lane. 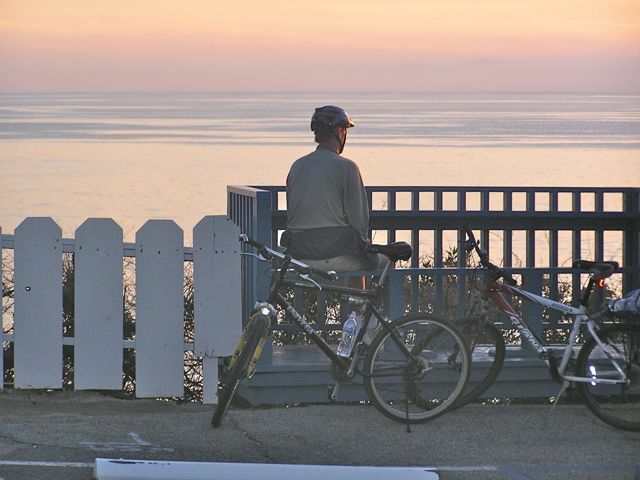 A fairly short but very scenic bike trail along the beach bluffs leads to the Crystal Cove Historic District and the Beachcomber Café with its prime beachfront patio. On top of the bluffs is Ruby’s Shake Shack, where you can grab a burger and date shake and take it down to the beach – now that is dining al fresco! Lunch stop at Felix Cuban Cafe in the central square. 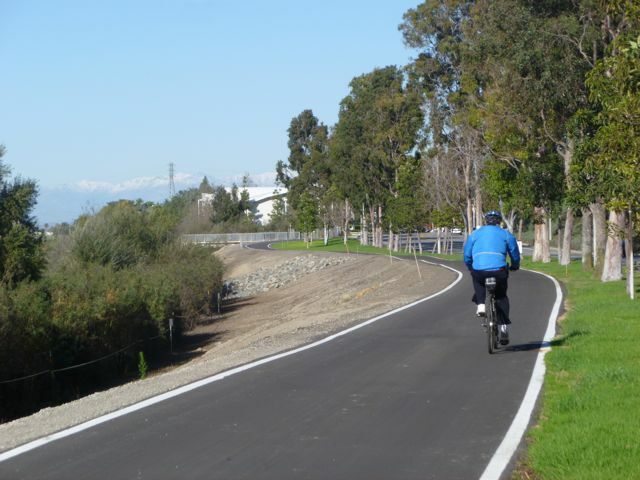 Santiago Creek Trail is one of OC’s newest, offering a nice creekside ride between the Mainplace Mall/Discovery Science Center area and Villa Park. From Hart Park, detour a few blocks to antique central at Old Towne Orange where outdoor options include Felix Cuban Café. You can also access Old Towne via Metrolink. Northbound from Newport’s Back Bay on San Diego Creek Trail. This master planned community has its fair share of bike trails connecting various parts of the city. As you pedal along the east-west segment of San Diego Creek Trail you will be riding parallel to commercial centers, including the Target Center at Culver where there are several Asian restaurants with outdoor tables set up, and a California Fish Grill. Other routes combine a hillier ride in the Turtle Rock/Shady Canyon area with dining options near UC Irvine. 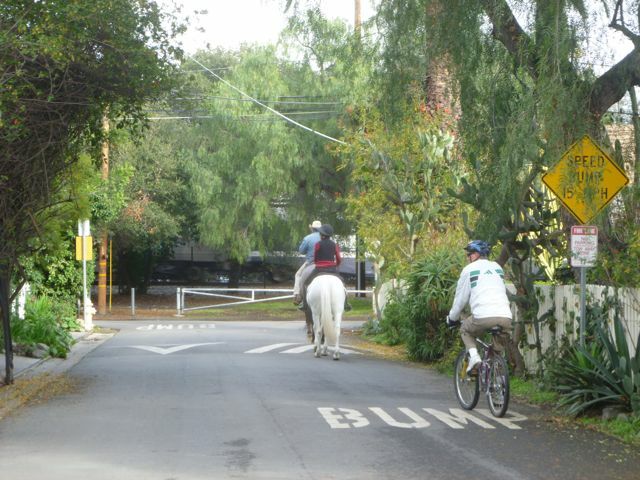 You’ve heard of OC’s bicycle highway, the Santa Ana River Trail. Our favorite segment is between the new ARTIC transport terminal in Anaheim (serviced by Amtrak and Metrolink) and SART’s east end in Yorba Linda. You can gain back some of the calories you’ve lost at the Lazy Dog Café via a detour east on Katella, where your pooch is also welcome on the patio, or other restaurants along the route. 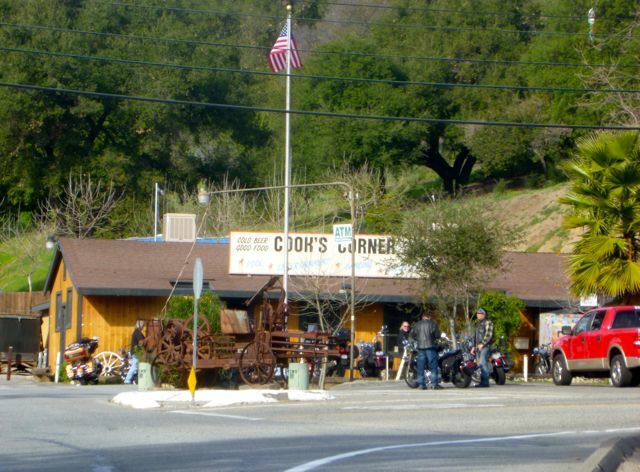 Biker’s favorite Cook’s Corner has outdoor seating and good food. 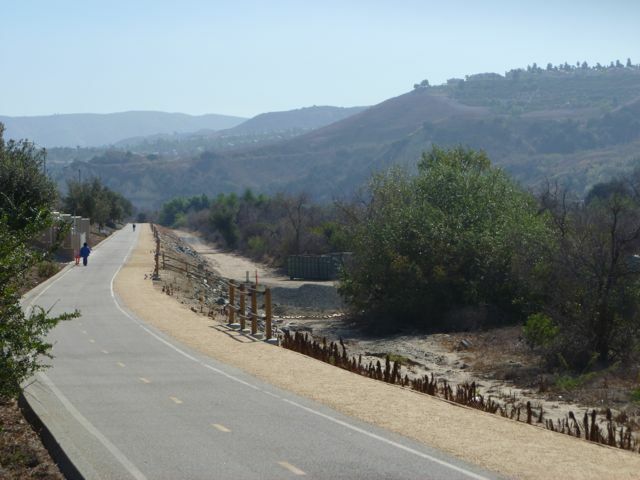 The Aliso Creek National Recreation Trail connects the Aliso and Wood Canyons mountain bike park in Aliso Viejo with the foothills of the Santa Ana Mountains, where you’ll find Cook’s Corner, a favorite of both motor and pedal cyclists for a burger or even a salad. Along the route are several other places to hop off the trail and catch a bite. The city’s new beach trail (reachable by Metrolink and Amtrak) was a missed opportunity as far as a bikeable trail goes, but it is doable and very scenic if you don’t mind walking your bike through several zones in summer. The reward can be Fisherman’s patio on the pier, or a couple of restaurants across the street from it. Other options are downtown up the hill on Avenida Del Mar, also reached by a confusing bike route that winds from North Beach through the city’s streets. At North Beach several restaurants are a short distance up El Camino Real. You can also ride from here to Dana Point and San Juan Capistrano, and then take the train back. Another prime rail stop via Amtrak or Metrolink, you’ll find plenty of dining choices in the historic district near the train station, including patios at Brownstone Café and Café Hidalgo in the historic Villa Del Sol courtyard. 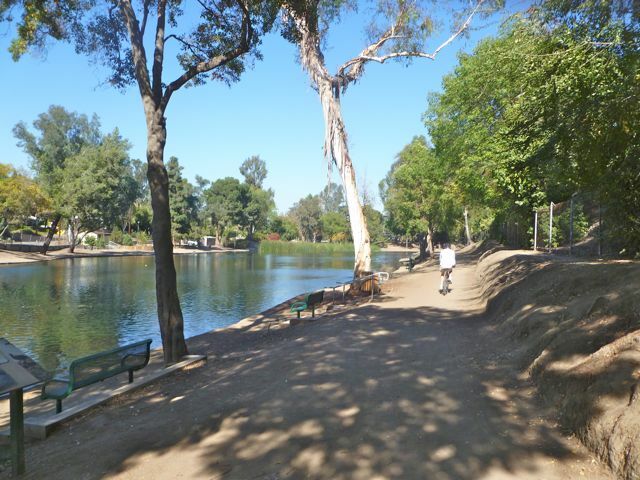 Then you can make your way on side streets west of Harbor to the trailhead for the mountain bike loops near Brea Dam and Laguna Lake, including the popular Fullerton Loop and easier options.